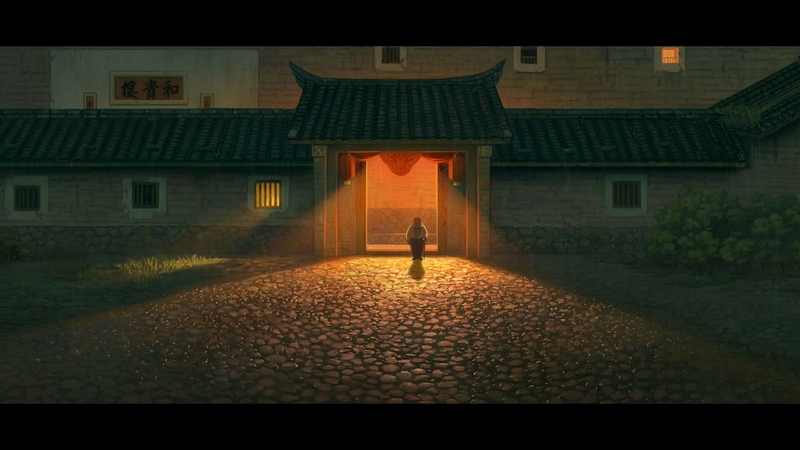 Chinese myths are crafted into a beautiful tale of love and sacrifice for all ages in this new animated masterpiece. 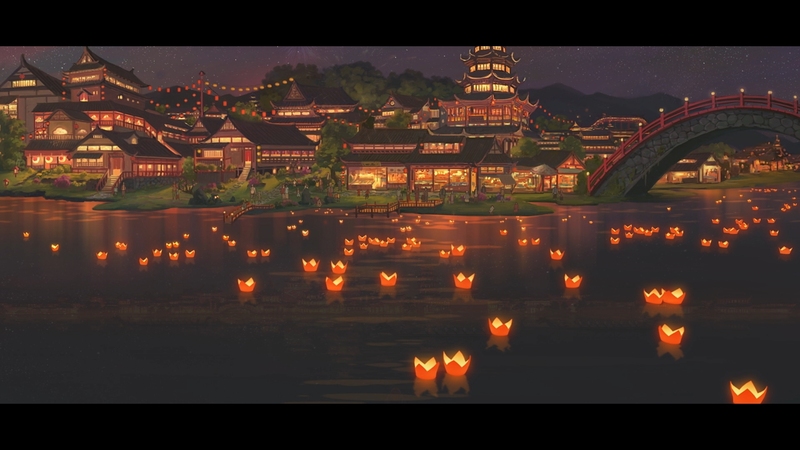 Animation enthusiasts have been anticipating the Chinese production Big Fish & Begonia hitting American shores for some time after the movie dazzled at animation festivals across the world. 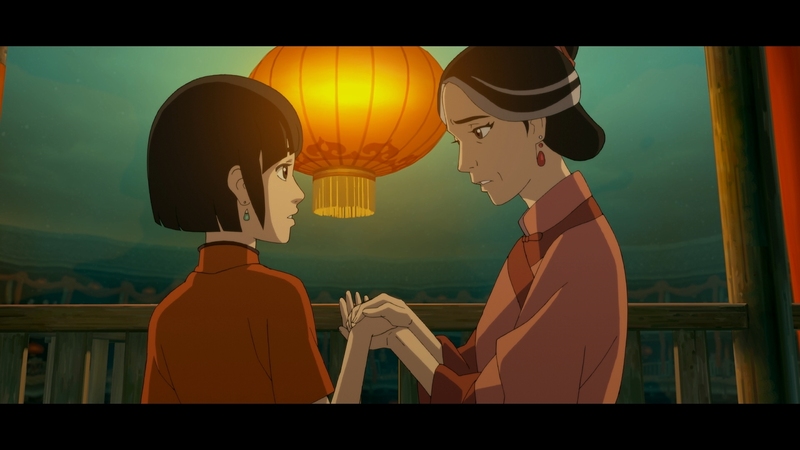 A smash success in China, Shout Factory has graced us with a gorgeously animated delight perfect for Blu-ray. 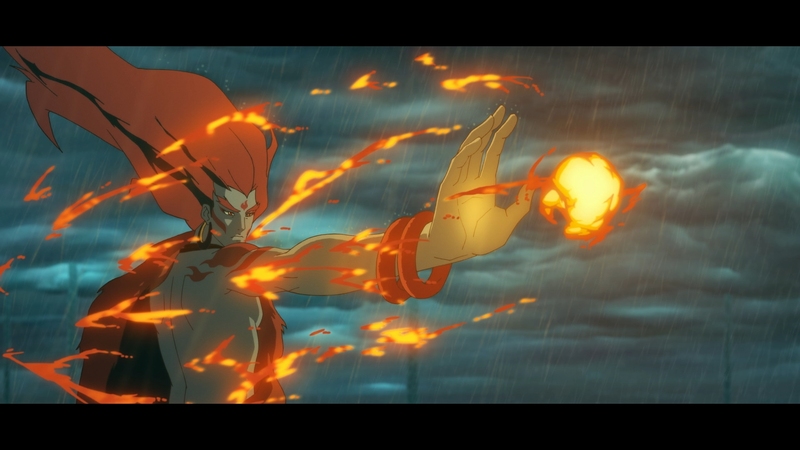 It is a visual marvel with breathtaking animation and an enchanting story spun from Chinese folklore. 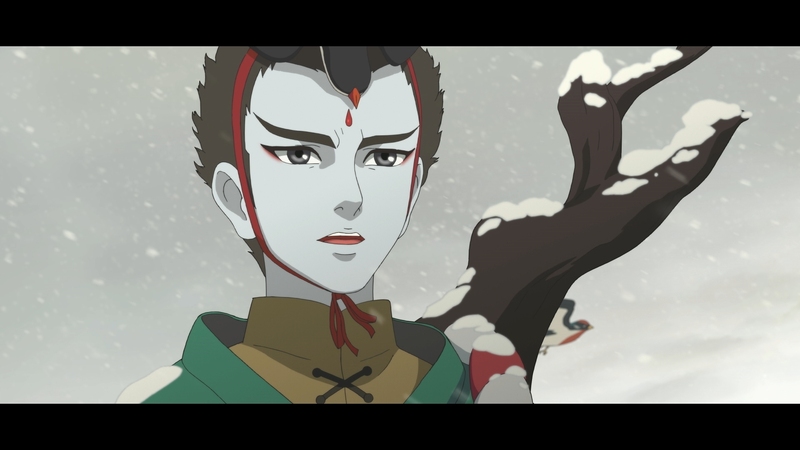 China isn’t known as a producer of quality animation on the world stage like Japan or France, but that might change very soon with the release of this lyrical fantasy that masterfully weaves Chinese legends and mythical characters into a mind-space usually reserved for the Miyazakis of the world. 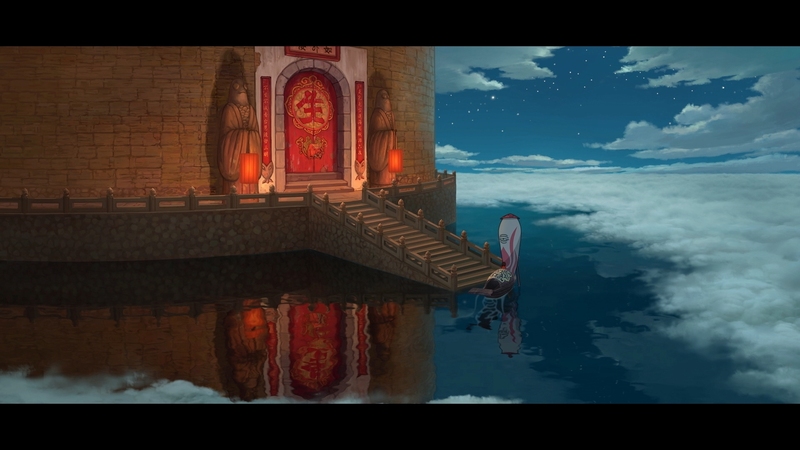 Directed by Xuan Liang and Chun Zhang, Big Fish & Begonia is an enchanting visual tour de force like nothing before it. In a fantastical world hidden below our world, unseen by humans, magical beings control the changing of the seasons. As a rite of passage, these beings visit man’s world for seven days. 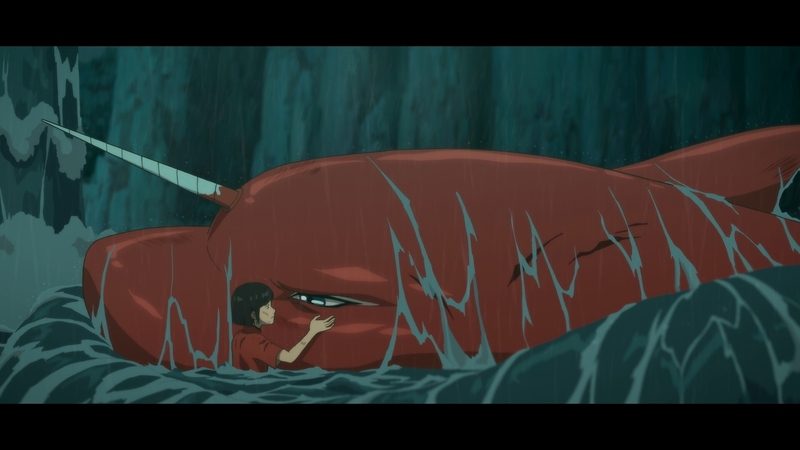 On the day Chun turns sixteen, she is transformed into a red dolphin to explore the human world. Warned to avoid contact with humans, the girl falls into a fishing trap that will stop her from returning home. 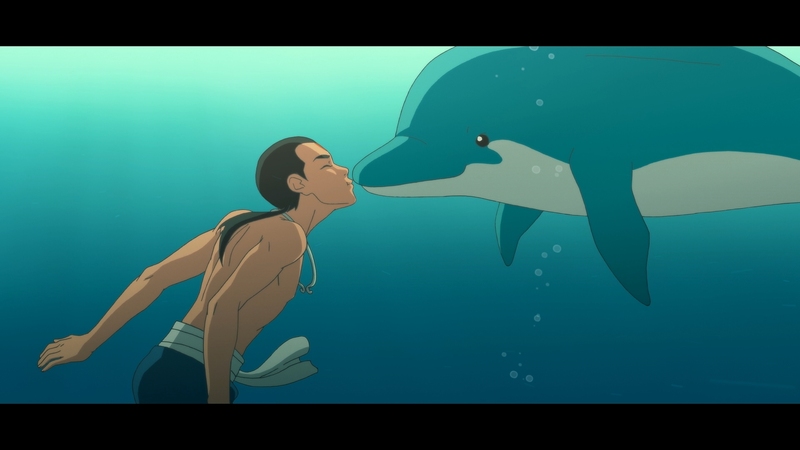 Chun meets Kun, a human boy that rescues her dolphin form in a raging storm. The selfless act costs the human boy his own life. Chun is so moved by the boy’s kindness and courage that she decides to bring him back to life, no matter the consequences. Striking a deal with an otherworldly power, Chun and Kun are inextricably linked together at a great risk to Chun’s life. Qui, Chun’s close friend that harbors a secret crush on her, may be the only one that can help save Chun from the trials and tribulations she’ll face protecting Kun. It’s a tale of right and wrong, of love and sacrifice, and ultimately an uplifting tale tinged with bittersweet afternotes. Big Fish & Begonia is ambitious with a morally complex tale at the heart of its beautifully animated adventure. The fantastical worldbuilding layers the story with both down-to-earth characters and god-like creatures. It’s far removed from the safe animated storytelling produced by Hollywood today for families. There is a mature approach which makes the movie compelling beyond the usual child demographic that animation is often known for at the box office. In fact, the ambiguity and emotional themes may make it a tad overwhelming for very young children. That isn’t a flaw but a real strength that sharpens these characters. While it can be whimsical and sweet, the Chinese movie’s characters aren’t perfect people. Most telling is how the narrative treats Chun, the maturing girl that makes a huge decision which will affect her entire life and everyone around her. The girl is treated as an actual person with a real personality and flawed decision-making, not the perfect protagonist so often seen in today’s Pixar and Disney fare. It’s incredibly refreshing to see fully fleshed out characters in an animated movie. All too often today animated films box the characters into tightly managed stereotypes aimed at children. The movie is much closer in spirit to the Japanese anime produced by the venerable Studio Ghibli in tone and atmosphere, more so than the watered-down family animation currently made in the West. 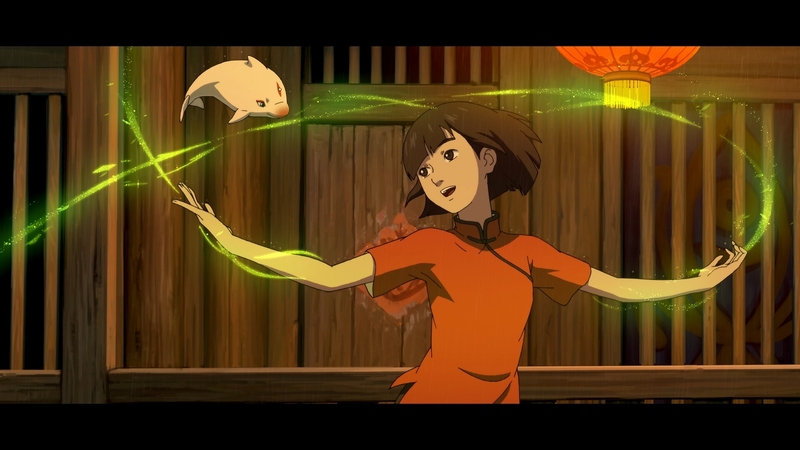 There is a Chinese flavor to the storytelling and animation that makes Big Fish & Begonia a truly unique movie in the global animation market. The rich atmosphere and intricate art create a memorable movie that dazzles with real emotional resonance. It recalls a bygone era of animated storytelling from Disney that wasn’t afraid of challenging its viewers with darker themes that carried real weight. Anyone that saw Bambi as a young child will understand the impact an animated film like this can have on younger audiences. 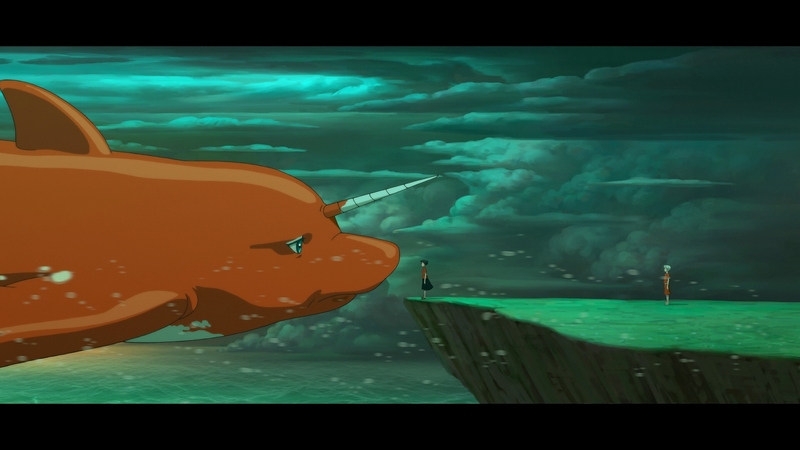 Big Fish & Begonia is an engrossing animated movie worth repeated viewings, as much for adults as it is for children. 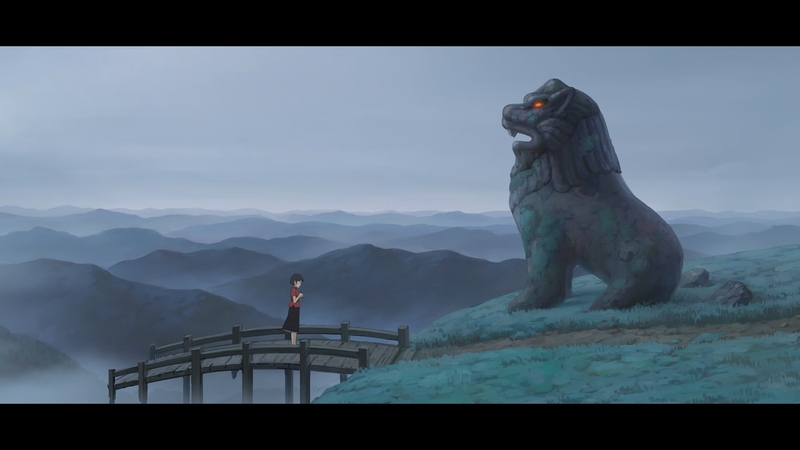 Big Fish & Begonia delivers dazzling eye candy galore in what is one of the best-looking animated movies of recent vintage. Largely employing traditional animation techniques with a few CGI embellishments, the production values are outstanding. If this is the state of Chinese animation, they have stepped onto the world stage with a quality that rivals their American and Japanese peers. Recalling the fluid worlds of Studio Ghibli’s best fantasy epics, the mythical setting has a colorful mix of animals and sea creatures. The disc itself is top-shelf reference quality. Shout Factory has encoded the 105-minute main feature on a BD-50 at superior parameters. The AVC encode avoids banding and posterization, often a problem on the brightly colored palettes of pristine animation like this movie. The 1080P video is presented at its native 2.35:1 widescreen aspect ratio. That composition is a little unusual for theatrical animation but lends a more cinematic feel as Chun struggles to save Kun. 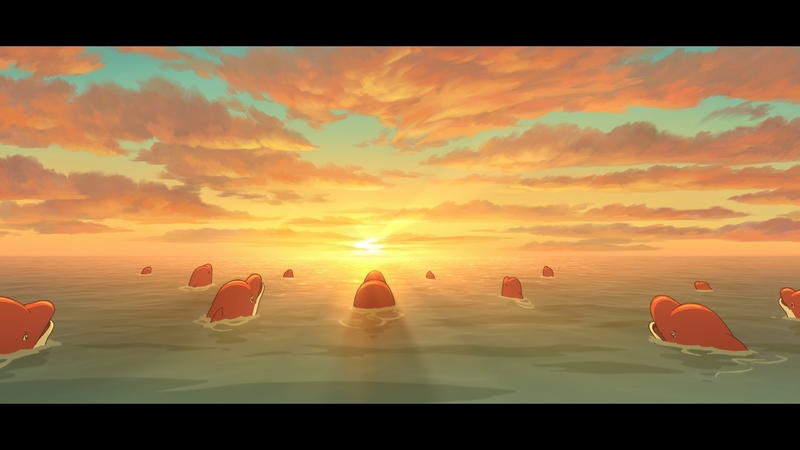 Big Fish & Begonia is thoroughly polished animation with an array of strongly saturated primary colors designed with gorgeous visuals in mind. 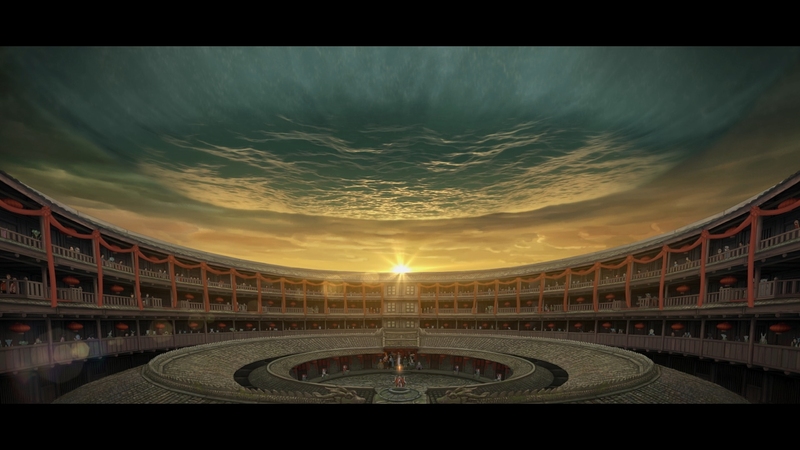 The animators set out to produce a visual wonder and have succeeded. Even if the story was garbage, which it isn’t, this is a must-see movie on a nice display for animation lovers. Both the original Mandarin soundtrack and a new English dub are heard in stellar 5.1 DTS-HD MA soundtracks. Big Fish & Begonia has a gentle, delicate orchestral score unafraid of big rushes and powerful sonic moments. This is an atmospheric surround mix with excellent channel separation. Mastered with bountiful dynamic range and crystal-clear fidelity, its immersion actively engages the listener. Easily one of the more sophisticated and nuanced surround mixes released this year. Don’t worry about the English dub’s quality. It’s a solid effort with fine voice actors admirably filling each role. The optional English SDH subtitles appear in a white font inside the scope presentation at all times. Having no familiarity with Mandarin Chinese, I can’t comment how close this English translation is to the original Chinese dialogue. Shout! Factory’s combo set includes the movie on Blu-ray, DVD and a downloadable digital copy. A slipcover is available. Like all Shout Factory digital copies, this is not a Movies Anywhere or UltraViolet code, but a unique download option. Making Of Documentary (23:48 in HD; Chinese w/ English subtitles) – Animators Xuan Liang and Chun Zhang go over the 12-year process that led to the creation of Big Fish & Begonia. 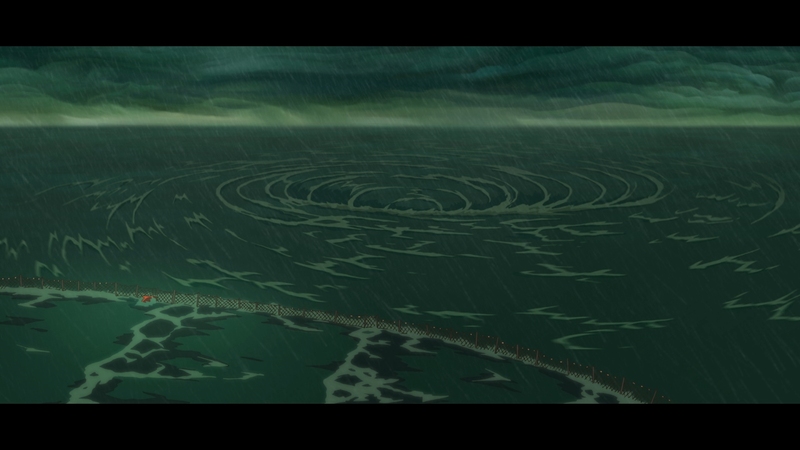 They detail the starts and stops along the way for their animation studio. It’s a candid, revealing look into the different iterations of the project, from videogame work that nearly bankrupted the company, to Enlight Media stepping in and backing them. Flowering Crabapple Short Film (07:59 in HD) – An animated short inspired by Big Fish & Begonia. Big Fish Music Video (02:39 in HD) – The Big Fish song set to clips from the film. 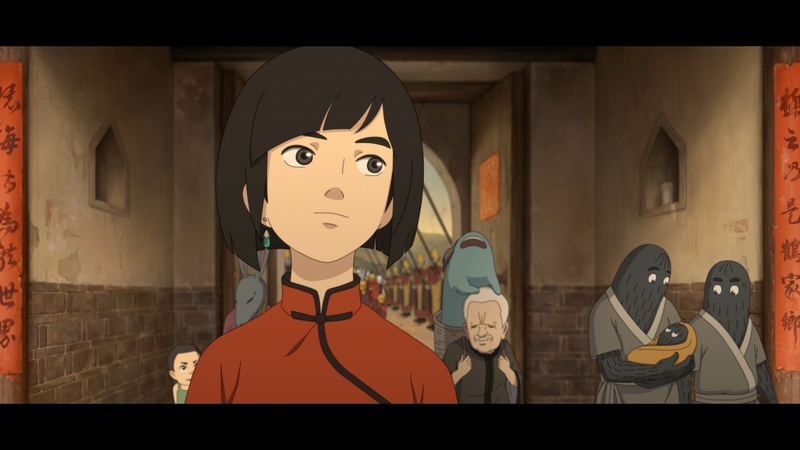 An animated Chinese blockbuster that completely delivers on its Studio Ghibli-like vibe and incredible visual style, this movie is must-see for animation fans. The unaltered images below are taken directly from the Blu-ray. For an additional 13 Big Fish & Begonia screenshots, early access to all upcoming screenshots plus the 13,000 already in our library, 50+ exclusive 4K UHD reviews, and more, support us on Patreon.